The Pantone matching system color chart, frequently called the PMS color chart, is regularly used by those in the printing and sign manufacturing industry to define and match colors. This uniform chart helps make sure that the client’s idea of the color red, for instance, matches the printer’s idea of the color red. 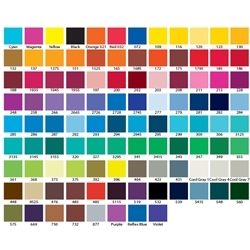 When you design and order full color signage, colors from the standard PMS color chart should be used. This way, you can know what to expect when the final piece is actually produced. It is strongly advised to use contrasting colors when creating your personalized signs. White or yellow lettering on blue, black or green background typically works best. If you are looking to order full color signs, you need to submit your complete graphic file in .jpg, .eps, .ai, .psd, .pdf. To ensure quality, images submitted must be of high resolution (the higher the better). Using the PMS color chart, computer software can match up the color from your files to the color on the actual sign. Please be aware that computer monitors and web browsers may not depict the precise color according to the PMS color chart. 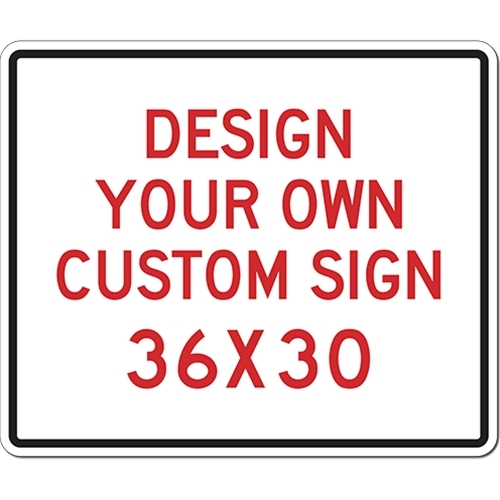 Custom parking signs for business executives, VPs, preferred customers, or “teacher of the week” can be manufactured, color matched and then directly printed using digital technology in sign manufacturing shops. Business logos or emblems can also be added. By using standardized PMS color charts, you can be confident that you’ll get what you expect when ordering full color custom signs online.